The Nashville Predators faced the St. Louis Blues for Wednesday for Game One of the second round of the Stanley Cup Playoffs at the Scottrade Center in St. Louis, Missouri. 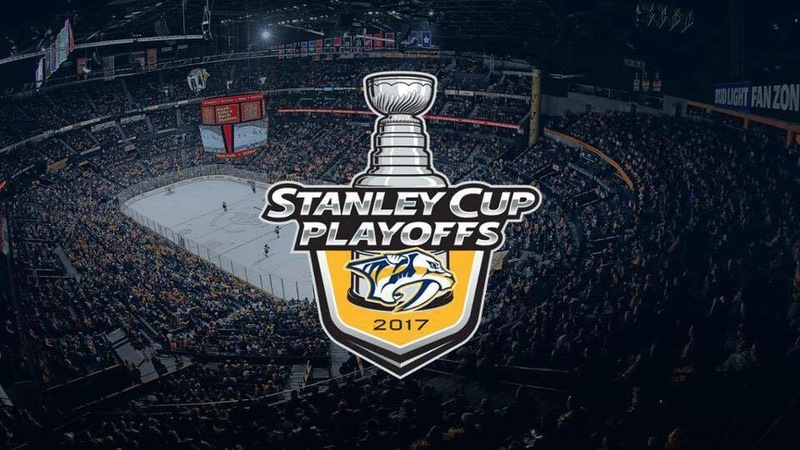 Showing perseverance, the Preds squeaked past the Blues 4-3 to remain undefeated in the 2017 playoffs. 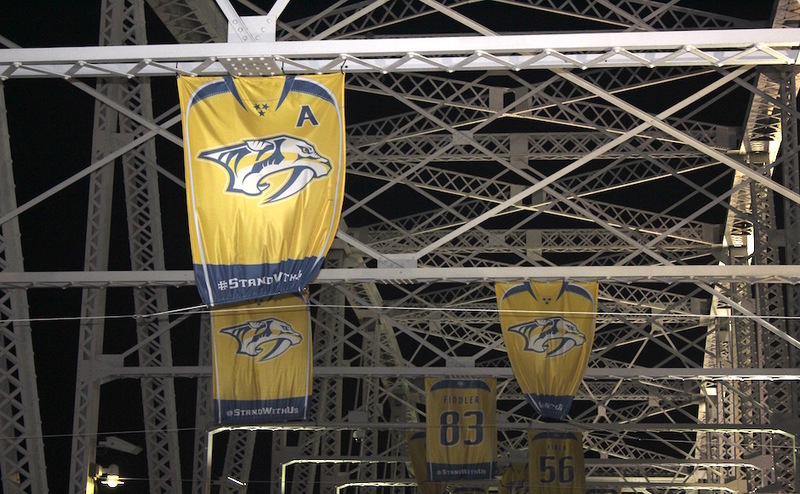 The starting lineup for the Predators was Filip Forsberg, Ryan Johansen, Viktor Arvidsson, Mattias Ekholm, P.K. Subban and Pekka Rinne. 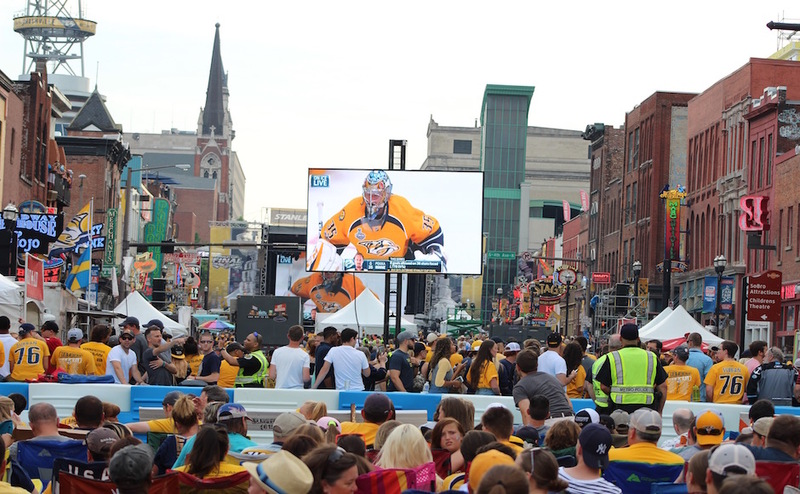 The first goal of the game was netted by Colin Wilson on a power play at the 11:24 mark of the first period to light the way for the Nashville Predators. Wilson was assisted by P.K. Subban and Ryan Ellis. Early in the second period, Subban started the second period by jetting the puck past the Blues’ goaltender, Jake Allen, with a powerful slap-shot. Subban was assisted by Ryan Johansen. Shortly after, the Blues’ gained their first goal from Colton Parayko who was assisted by Joel Edmundson and Kyle Brodziak, making it 2-1. After a slurry of penalties, Forsberg was able to tip in yet another power play goal for the Predators. Forsberg was assisted by P.K. Subban and Roman Josi. With the assist, Suban became just the ninth Nashville player with three points recorded in a playoff game. The feat is also a first for Suban in a Preds uniform. The Blues’ led the Predators in shots during the third period, 11-6, and also scored two more goals to tie up the game at three all. The second goal of the night for the Blues’ was scored by Jaden Schwartz and assisted by Paul Stasny and Joel Edmundson. The third, scored at the 9:22 mark, was a wrist shot from Vladimir Sobotka, assisted by Magnue Paajarvi. Late in the third, the game winning goal was scored by Nashville Predators’ Vernon Fiddler. This would be Fiddler’s first career playoff goal as it was also his first postseason game. He was assisted by Austin Watson. During the second period, Preds standout forward Kevin Fiala suffered a lower body injury after a grusome collision on the boards. Battling for the puck with Blues’ Robert Bortuzzo, Fiala’s legs bent oddly prior to smashing into the wall. Fiala was taken to the hospital, but no word on his status has yet been released. 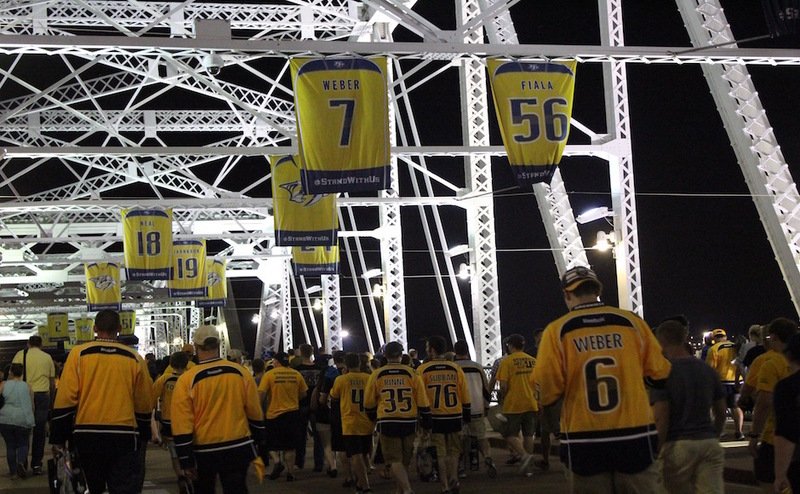 The Predators will stay in St. Louis for their next game on Friday, April 28. Nashville gave the Blues’ room to work with this game, so they will need to tighten up their defense and keep possession of the puck as much as possible.